Today is Emilia's first day of school. She has been super excited to start up again. 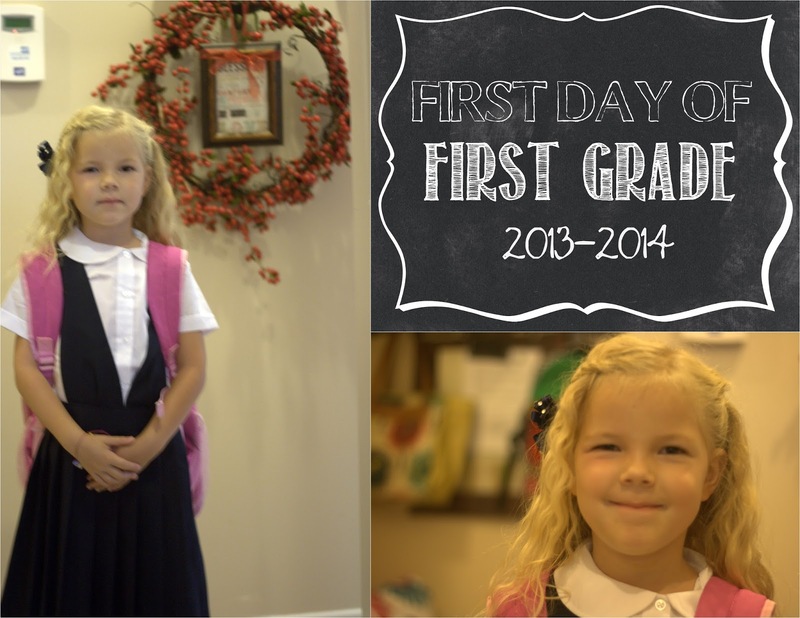 After much deliberation we decided to enroll her at a charter school near our home. I had gone on a tour last year and absolutely loved it. She does well in structured environments and I like that their reading and math is done in small break out groups of 4-6 students by skill level regardless of grade. Their curriculum is also of higher standard than the state requirement. The most wonderful thing to me is the diversity that she gets to experience in the classroom. My neighborhood is pretty homogeneous. Her classroom and school are not. We are currently carpooling with a Hindu family from India, her school has a mixture of races and backgrounds that I haven't seen in a while. When we first moved to Utah, Emilia asked me several times where her friends with 'darker skin' had gone. I don't think she meant anything by that. She had just started to notice that everyone looks different. I am glad that she will get to experience that diversity in her school. When I applied for the lottery at her school I felt good about the possibility of her enrolling. When she didn't get selected, I was disappointed. I liked the school she attended last year, but it is my feeling that you don't always get teachers that love their jobs and the children. Bullying is also something that I worry about. At Emilia's new school parental involvement is required. Student responsibility and accountability are expected early on. When she didn't get accepted, I applied for her to attend foreign language immersion program at a nearby elementary school. Then, in July I was contacted by the charter school to see if I was interested in being a school specialist for events and assemblies. It is a paid/volunteer position. Once you reach their allotted budget for that position the hours worked are counted as volunteer hours. As a specialist I am considered an employee of the school and my child receives priority enrollment - thus circumventing the lottery system. I jumped at the opportunity! She was tested and met the school requirements for reading and math. They gave us a packet of work to do during the summer. The reading was easy. Math has been a bit more challenging. They expect first graders to be able to do 80 single-number (1-9) additions in 2 minutes. That's about 1.5 seconds each. No more finger counting! Can't wait for her to get home to hear all about her new friends and experiences!